and I am also looking forward to school lunches and hoping I can do a better job of putting healthy stuff in the box… bliss balls are the answer! 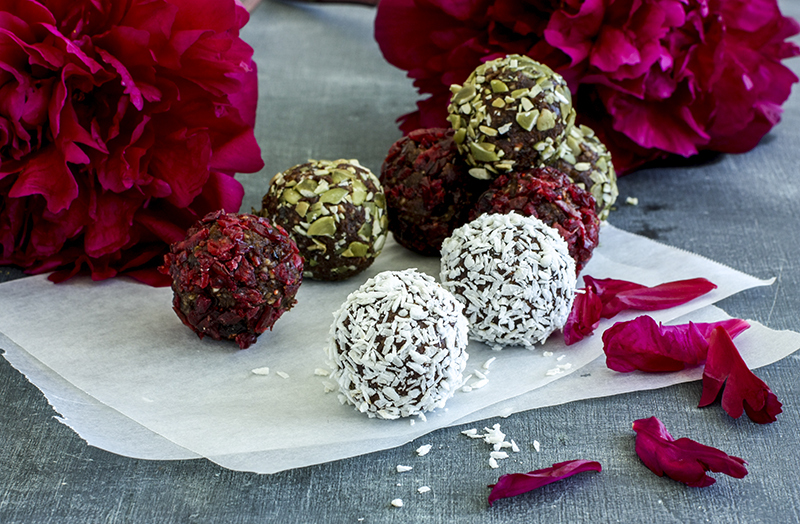 Bliss balls have gone main-stream in the last few years and if you haven’t discovered them yet, you are missing out. 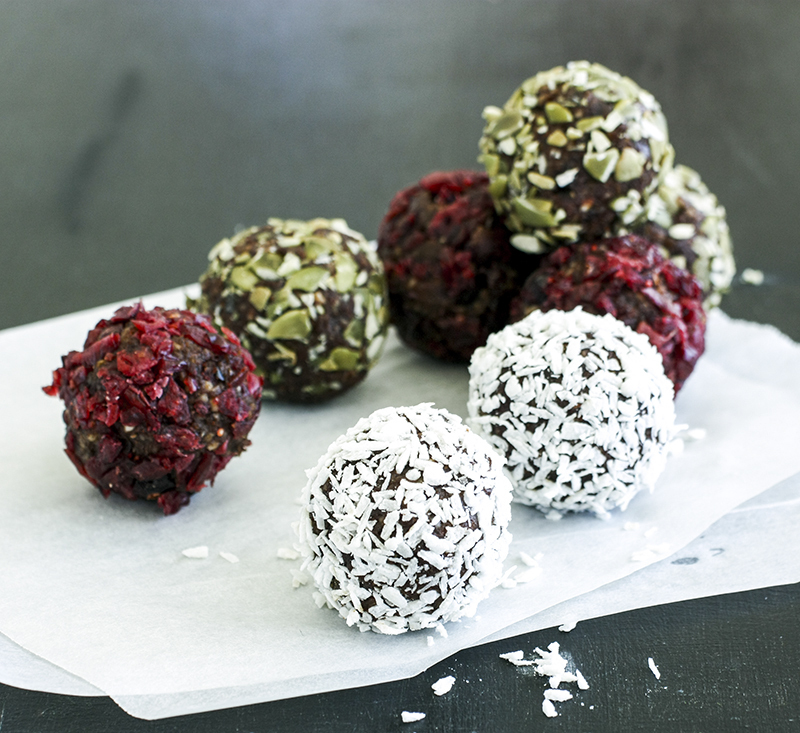 They are also very easy to make in a blender and reasonably healthy (they do pack a calorie punch though so 1-2 would be a filling and refined sugar free snack). They can be frozen, store well and are indestructible in a lunchbox – all things to recommend them, from my perspective! Blend the nuts in a food processor until finely chopped, then add dates (drained if soaking them), sultanas, cocoa powder, cinnamon, vanilla, ginger, allspice, pinch of salt and the grated zest of the orange. Blend all with the juice of half the orange. When the mixture has formed into one ball, remove from the processor and cut into 12 equal pieces. Roll each into a ball (the mixture can be a bit sticky at this point, but wet your hands if need be), then roll one third of the balls in desiccated coconut, one third with pumpkin seeds and the last third in cranberries. Store in the fridge or freezer until ready to eat.